The Profi III-6 HANS belt is the perfect belt for someone who still needs a 3" lap belt but wants the Added Safety of the HANS Specific Shoulder Belts. It features the Profi style T-bar sub strap with Snap-in End fittings throughout the belt. The fittings on the sub straps and shoulder belts can be taken out to allow for bolt in bracketry to e used, or to wrap around bars in the rollcage. 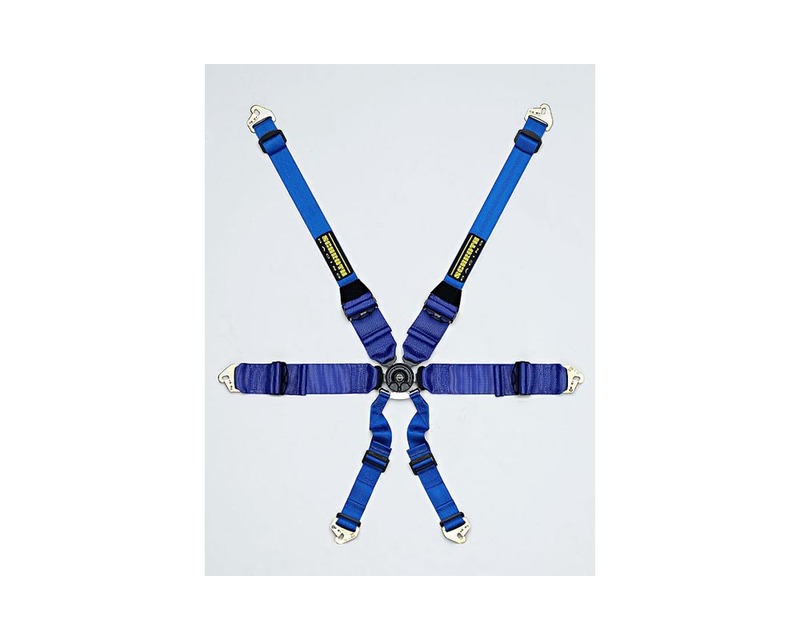 The HANS specific shoulder belts are designed to amke HANS use safer and more comfortable. The belts start as 3" webbing at the cam lock, then after the length adjuster they are 2" webbing which fits completely on the HANS yoke. This gives you the optimal force distribution, entirely on the surface of the HANS. A standard 3" belt will work, however some of the load is not distributed on the HANS. This also can be comfort issue with some of the webbing falling off the HANS. Another important feature of the HANS specific shoulder elts is the ability to move the anchor points towards each other to acheive the perfect installation geometry. This will help in the Post-Impact phase - very important in a roll-over situation as well. .